Isaiah Simmons is returning to school for his redshirt junior season, the linebacker announced on Twitter Monday night. “Senior year about to be even more crazy!” Simmons wrote. 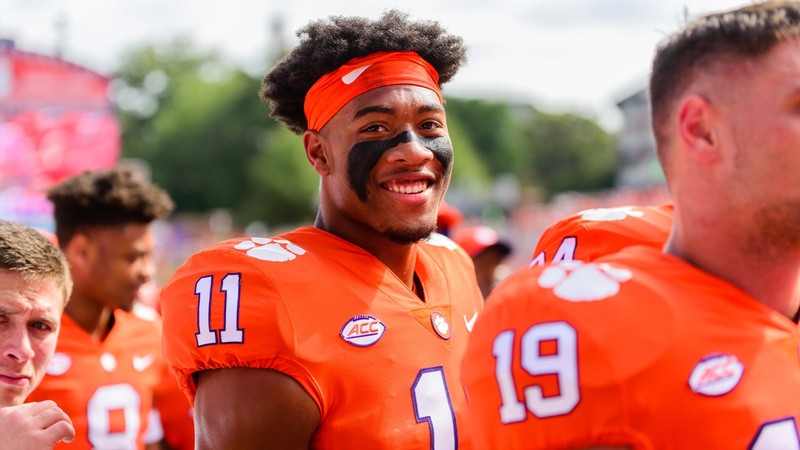 Simmons joinsTanner Muse as another player of Clemson’s defense who announced on Monday that they will return to Clemson. The starting nickel/SAM linebacker will have plenty of eyes on him from NFL scouts as the next season beings. Simmons had 54 solo tackles, 89 total on the season, and 9.5 of them were for loss. He had 1.5 sacks, three forced fumbles and an interception which was returned for a touchdown. He notched a season-high ten tackles in both the N.C. State game and South Carolina game. In the national championship, he had nine tackles. This is a huge return for Clemson as it was already reeling with several star-power losses on that side of the ball (as we mentioned earlier when Tanner Muse made his announcement). Brent Venables is getting back an athletic defender in the middle of the field who only seemed to get more comfortable as the season progressed. His pass coverage and ability to be flexible with his agility on blitzes will be vital as he’ll return as a leader of this defense in 2019.